I seldom get very excited by the launch of a new car, but what I really want right now is a Toyota Century. The problem is that the very latest Century, like all the previous incarnations, is disappointingly a Japan-market-only phenomenon. So what could we get as an alternative luxobarge? Reassuringly, there is no reason at all to spend anywhere near the £120,000 that a Century is going to set you back in the Orient. Great big saloons may be going out of fashion, but they still make a huge amount of sense if you want a safe, comfy, long-distance-journey crusher. Getting more rare by the week is the Honda Legend. There are never many around and it is ginormously dull to look at but fairly effortless to own and drive. 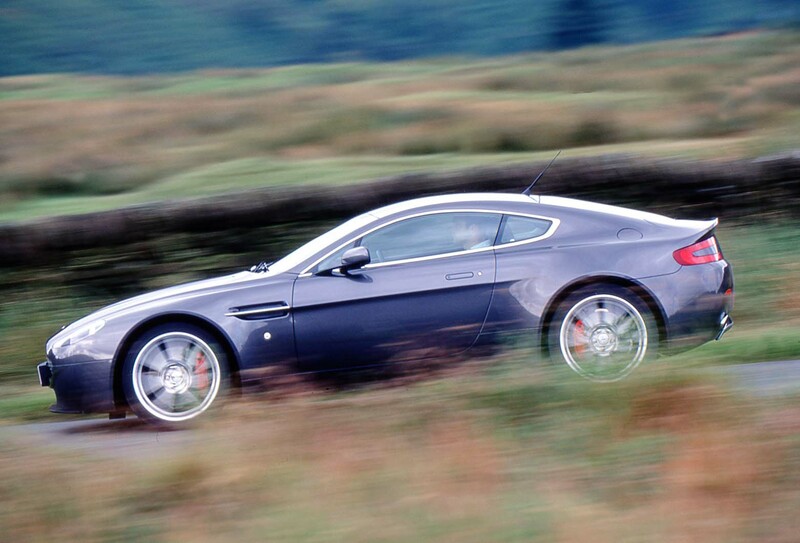 You can find earlier models for a few hundred pounds, but best not to really. 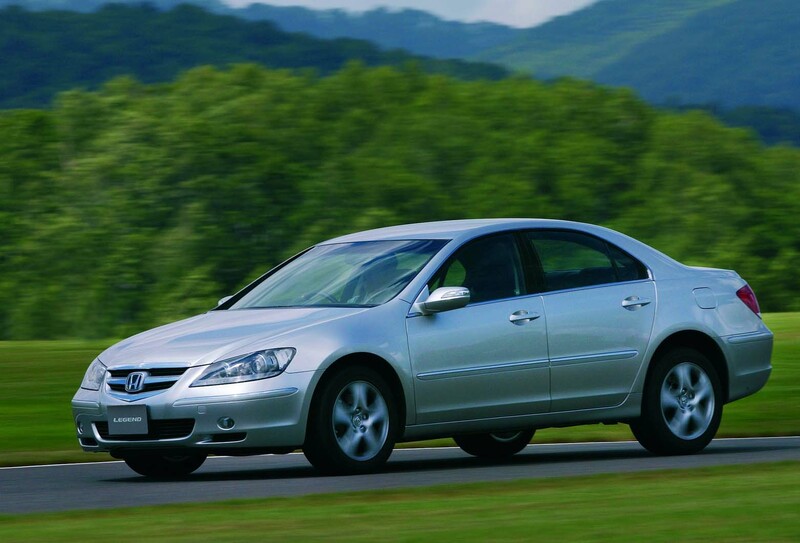 Instead, £2990 will get you inside a 2007 model, which even has radar cruise control. Luxobargery throws up some wonderful oddities. A Hyundai Grandeur promises a lot but only really delivers a posher Elantra. However, a 2011 one with just over 40,000 miles, a petrol V6 and such trimmings as an electric rear window blind is £5500. It is either cheap compared with a Lexus or still far too pricey. At least, it isn’t diesel. We seem to have stayed on the Far Eastern side of the globe. There is a reason for this and maybe a pattern is emerging, although the long-in-the-tooth Vauxhall Senator would qualify. There are plenty of long-lost models from manufacturers that don’t bother with this end of the market, most notably the Nissan Maxima. Great name, another ordinary offering, though, and nowhere near as impressive as a Century. However, a tidy 2002 2.0-litre example, which was all I could find (no V6), was £1450 with a full service history. I think I’m losing my way here because I’ve even started to consider the long-forgotten Hyundai XG350 but, like the Maxima V6, it only seems to be a thing in the US. The thing is it is possible to buy a pukka Century. It will be an import, of course, but it will have a V12 engine and curtains. We found a 2003 car at a dealer and it looks pretty much like the latest one. Apparently, it cost £85,000 back in the day and is now a very reasonable £12,000. The even more breeze-block-shaped model from 1993 is fresh off the boat and £8995. Sadly, I don’t have a space in my life large enough for one of these, but for a hand-built icon that isn’t a Land Rover Defender, look no further. 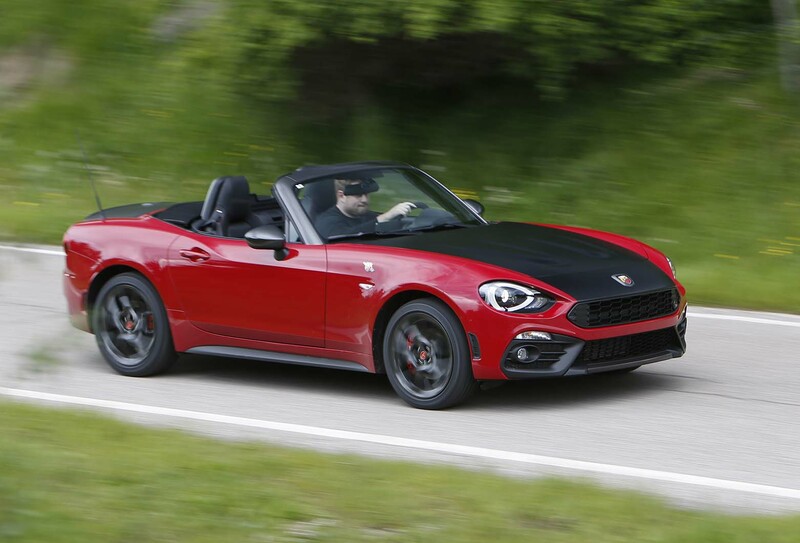 ABARTH 124 SPIDER: Early examples of the Abarth 124 are beginning to look like rather splendid value (they’re starting to dip below £20k) – and with a gutsy 1.4-litre turbo engine, they offer more power than their Mazda MX-5 stablemates. Find one with low miles and head out in the sunshine in something a little different from the norm. The Flying Pig has been consistently brilliant. Well, great at gulping fuel, but you can’t fault it. That start-up yelp has gone and we did a few journeys that just lapped up the miles with four on board. You might remember that the Pig had a smelly dog issue and Autocar readers were not slow in offering brilliant suggestions. One involved an expensive cleaner that I haven’t bought. White vinegar was another. Instead, we found a date-expired Chinese red condiment, tried it, and then splashed out on some proper white vinegar. It hasn’t absorbed the whiff. We still plan to vacuum the carpets. 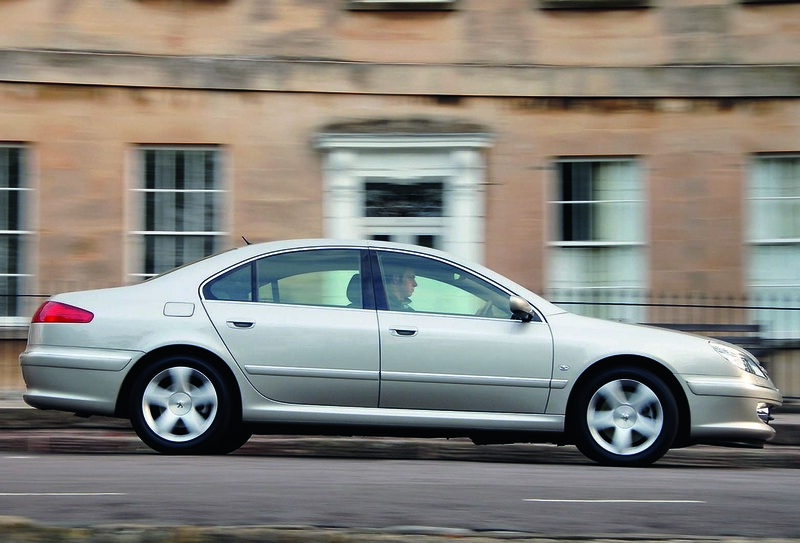 Peugeot 607: The 607 was a big car and, at 4.87m long on a 2.8m wheelbase, one of the largest in its sector. However, it was far from overweight, the bodyshell weighing in at just 285kg because Peugeot made the bonnet and inner panels from aluminium. The 607 rode well and had loads of kit – including automatic windscreen wipers and automatic headlights – but at the end of the day, you were still sitting inside a great big Peugeot. A 2004 2.2 HDi with 133k miles is just £1290. Not sure about owning one (running costs likely to be stroke inducing), but I'd sure love to have a go at driving one around for a couple of days. Just took a look at the Legend on AutoTrader as I realised I knew nothing about it. Some really tidy examples there, found a 54,000 mile 3.4 V6 EX model for £5k, it actually looks rather nice inside in a predictable Honda sort of way. Seems like a tidy barge for someone, but if I was spending £5k on a motorway mile-muncher, I don't think I'd want a heavy fuel-guzzling V6 petrol under the bonnet, as it'd cost another £5k in fuel every few months!!! The largest expenses one could occur owning a rare Toyota would be body panels. The rest are from the vast parts bin and Toyotas are very reliable and easy for most mechanics to maintain. Not sure how a 16 year old Dull looking Toyota import that'll be a mare to work on, expensive to run etc can be considered a very reasonable buy at £12,000. Can't believe you can get a V12 Century for 12 Gs. Bargain of the - er - century! Luxobarge? Can I say 'Ford Granada Scorpio Cosworth' wihtout being laughed off the forums?Granted its a Ford so will be full of rust but equally, it's a Ford so will be cheap to repair/fix. Probably pick one up of the price of a decent meal out these days too. And of course it has the mythical 'C' badge on the boot, and the rocker cover. Sorry but pretty sure there was no 'C' badge on the boot of a standard Scorpio Cosworth in the UK. Should you be nervous about buying a diesel? Yes. Contrary to Autocar's biased views on diesel even in the very latest EU6 complaint diesel engines produce far more CO2, NOx and soot than they are supposed to. Some, not many, are actually reasonably clean and give close to or better results than the official tests (BMW 218d and Mini Cooper D being two of them) but the vast majority are still filthy dirty things that cause fatal illnesses. If you intend to keep a diesel car for more than 3 years there is the very clear likelihood that you will not be allowed to drive it into city centres without paying a large daily fee and some city authorities may even ban diesels completely from city centres. Where I live there have been endless "consultation" documents on a total diesel ban, a partial ban, a ban at weekends, a "Low Emissions Zone" etc etc. Sooner or later diesel will be banned and it is looking as though it will be sooner. Petrol has perhaps got a longer shelf life but it will go the same way too.